Get Involved! The Big Woolly Weekend! Calling all knitters! 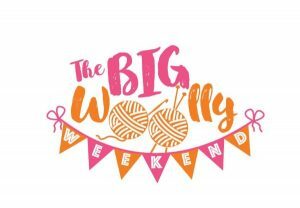 Bergere de France has created The Big Woolly Weekend project, which calls on knitters to get together and knit in public for Knit for Peace and The Jo Cox Foundation‘s The Great Get Together. On the 10th or 11th of June, choose a public place with your knitting group or group of friends, and knit or crochet blanket squares to be used as bunting for The Great Get Together the following weekend. After The Great Get Together, your knitted squares can then be sent to Knit for Peace, where they will be put to good use. 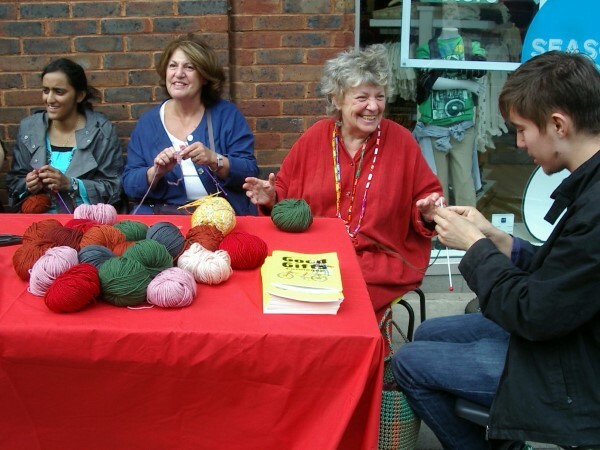 Bergere De France has donated yarn to shops across the UK and Knit for Peace’s office in Hampstead. Visit Berege De France’s website regularly as this page will be kept updated with new participating stores. See Bergere De France’s website for all the details. The Jo Cox Foundation was launched in the memory of the murdered MP, Jo Cox. Their initiative, The Great Get Together, celebrates community and what unites us through neighbourhood events. These events might be as small as a picnic or as large as a street party! Donate your squares to be used as bunting for The Great Get Together’s community events which take place on the 16th – 18th of June, and join your neighbourhood celebration! 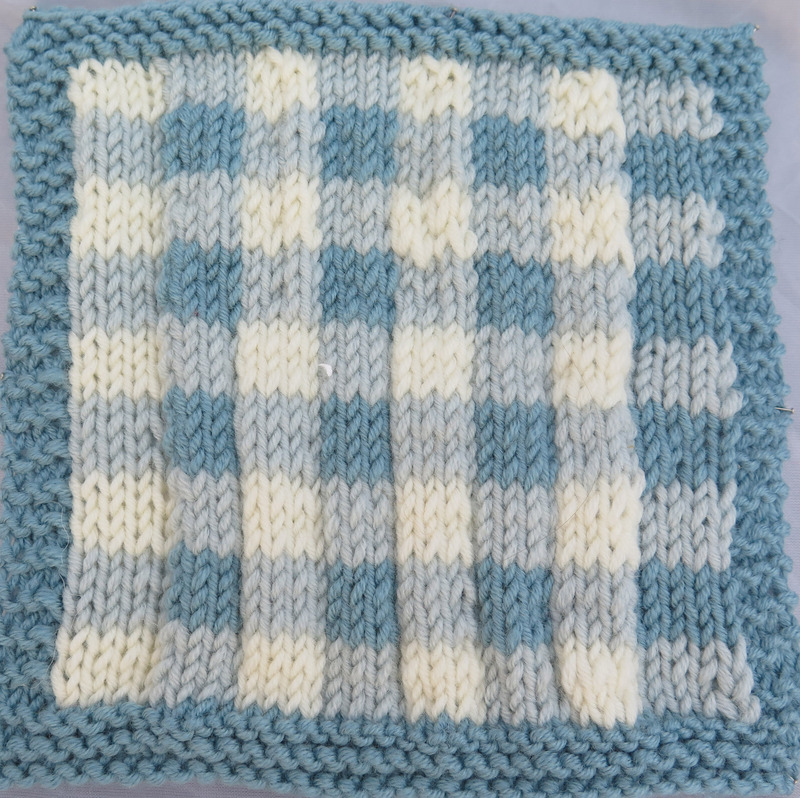 To match The Great Get Together’s gingham theme you could knit Debbie Bliss’ gingham square. It only costs £2, and all proceeds will be donated to The Jo Cox Foundation which works with communities to promote compassion and unity. You can also purchase this pattern as part of an ebook containing twelve patterns in total, for only £6.00. Click here for more information. Where will my squares go? 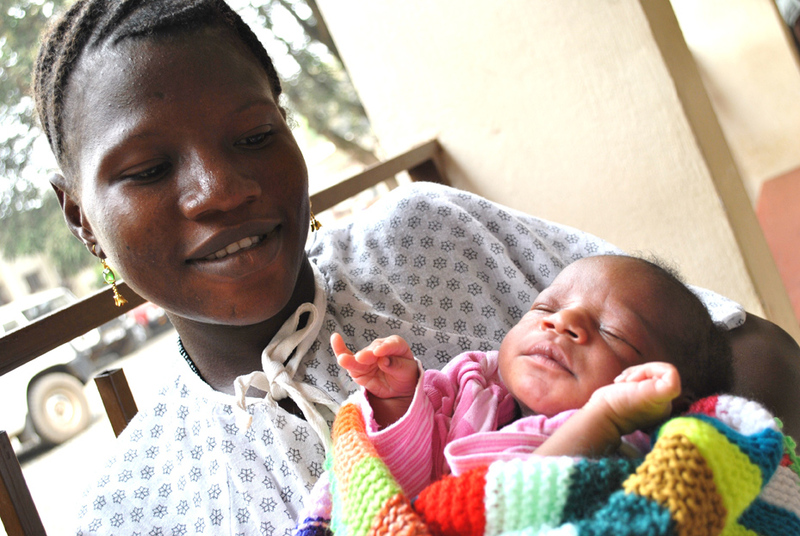 If you send your knitting to Knit for Peace, your knitted squares will be donated to fistula hospitals across Africa. Fistula is a painful and degrading condition caused by obstructed labour. Here, women are given life changing operations and provided with a safe environment for childbirth, preventing the occurrence of obstetric fistula in the first instance. Expectant mothers, and women recovering from surgery stitch the squares into blankets for themselves and their babies. This gives them something to do during their rehabilitation, handicraft skills, and the gift of a blanket they can take home with them. Yes! Get friends, family and colleagues to sponsor you. For example, £1 for every square you knit. 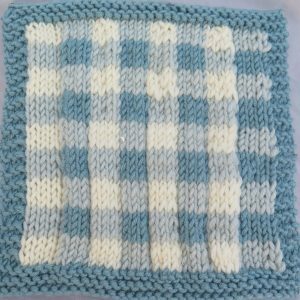 Donate the money to Knit for Peace, where this money can be used to cover the costs of sending the squares to those in need or setting up new enterprises in developing countries. Follow us on Instagram for images of beautiful knitwear and news about Knit for Peace and The Big Woolly Weekend. Click here to download publicity material so passersby can find out more about The Big Woolly Weekend, The Great Get Together and Knit for Peace.